To start, put it aside for a week or more, then change the font and print it up and read it in a different location, where you don’t write. Or, to save paper, change the font and formatting, then put it on your tablet or e-reader and take it outside to a park or a (different) coffee shop to read. That way, you can approach it with fresh eyes and a bit of distance, as a reader, rather than in too close as the writer. 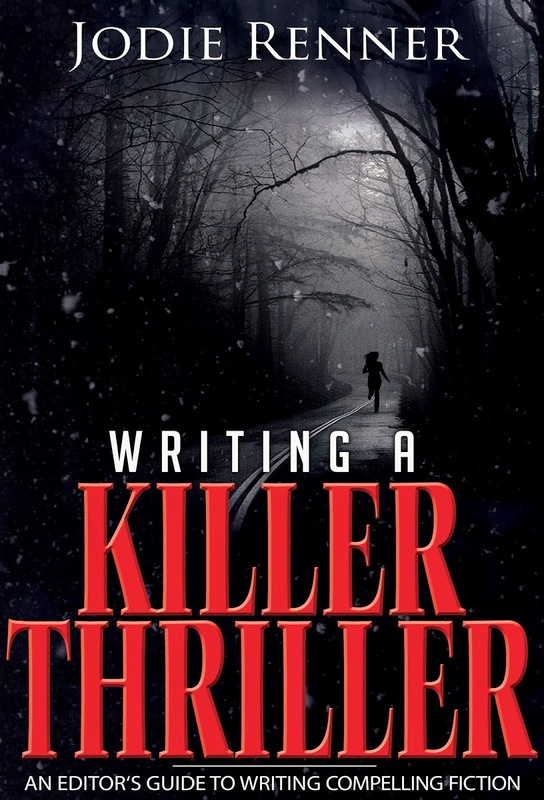 Also, see my post, “12 Essential Steps from Idea to Published Novel” on The Kill Zone. 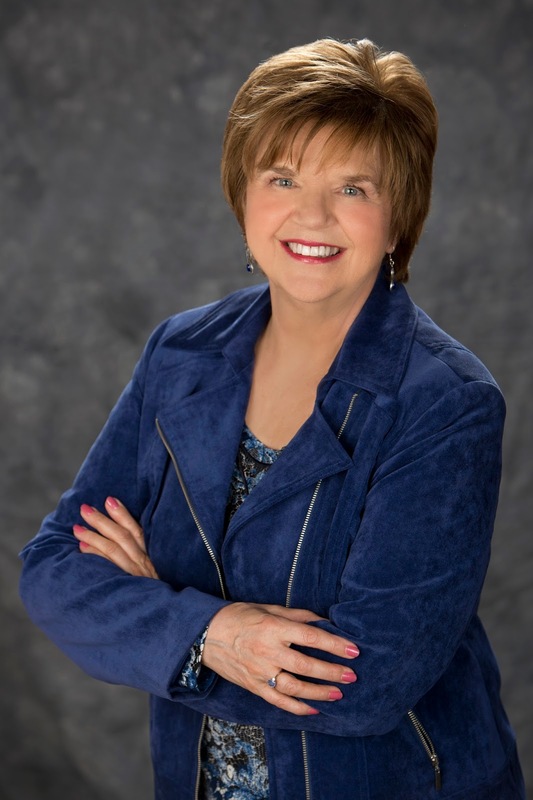 Jodie Renner is a freelance fiction editor and the award-winning author of three craft-of-writing guides in her series An Editor’s Guide to Writing Compelling Fiction: Captivate Your Readers, Fire up Your Fiction, and Writing a Killer Thriller. She has also published two clickable time-saving e-resources to date: Quick Clicks: Spelling List and Quick Clicks: Word Usage, and has organized and edited two anthologies for charity. You can find Jodie at www.JodieRenner.com, www.JodieRennerEditing.com, her blog, http://jodierennerediting.blogspot.com/, and on Facebook, Twitter, and Google+. 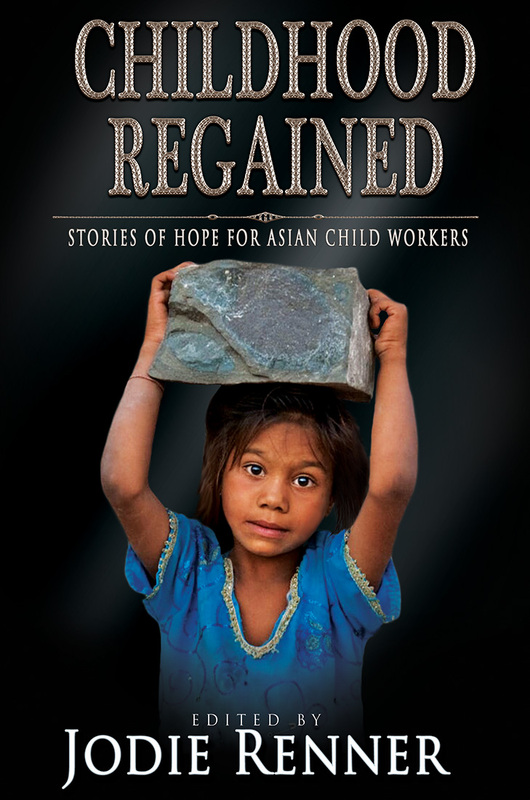 CHILDHOOD REGAINED - Stories of Hope for Asian Child Workers, out May 10! 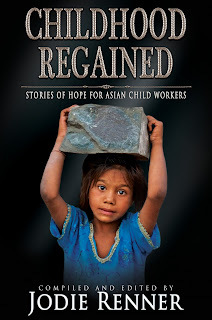 Great news -- Childhood Regained - Stories of Hope for Asian Child Workers will be released world-wide on May 10 and is now ready for pre-order on Amazon. This is a compelling collection of 20 touching, yet hopeful short stories and a poem, by 19 talented writers, about various children in South Asia laboring long hours in factories, quarries, plantations, mines, and other situations. If you know of any middle-grade or high school teachers, school librarians, public librarians, or booksellers, please let them know that the book is on NetGalley for them to download and review. Here's the link to Childhood Regained on NetGalley: https://s2.netgalley.com/catalog/book/88226. Please "Like" our Facebook page for this anthology for charity here: https://www.facebook.com/ChildhoodRegained/. We'll be having a release day party there on May 10, with lots of fun and giveaways! All 20 stories and one poem were written specifically for this anthology by writers in the U.S., Canada, the U.K., Sweden, Malta, and India, and have not been published anywhere else. Hidden in darkness and unnoticed by the rest of the world, there exists a horrible situation in South Asia - India, Nepal, Pakistan, and Bangladesh. Millions of children as young as five, forced to work up to 16 hours a day. Barely enough food. Poor accommodations for sleep and hygiene. Working in dangerous situations – mines, quarries, factories, brickyards, and on the streets. Governments and charitable organizations are making inroads, but poverty and natural disasters have added to the stresses that increase the number of children involved. This collection of short stories and a poem seeks to shine light on the darkness, exposing the situation and raising awareness of the plight of these children. You can help with your purchase of this book, as all the net proceeds will be donated to a highly respected and trusted charity that works with these children, helping them to regain their childhood, attend school, and develop skills that will allow them to live a productive life. 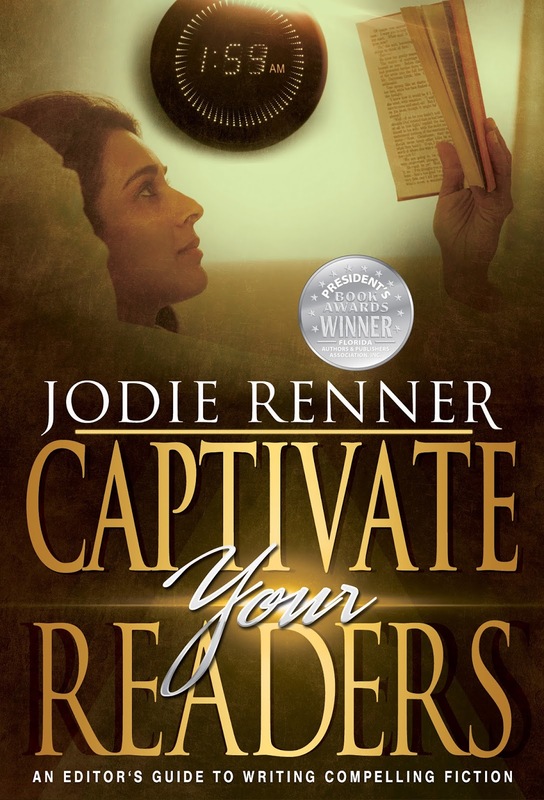 Jodie Renner is a freelance fiction editor, workshop presenter, judge for fiction contests, and the award-winning author of three craft-of-writing guides in her series An Editor’s Guide to Writing Compelling Fiction: Captivate Your Readers, Fire up Your Fiction, and Writing a Killer Thriller. 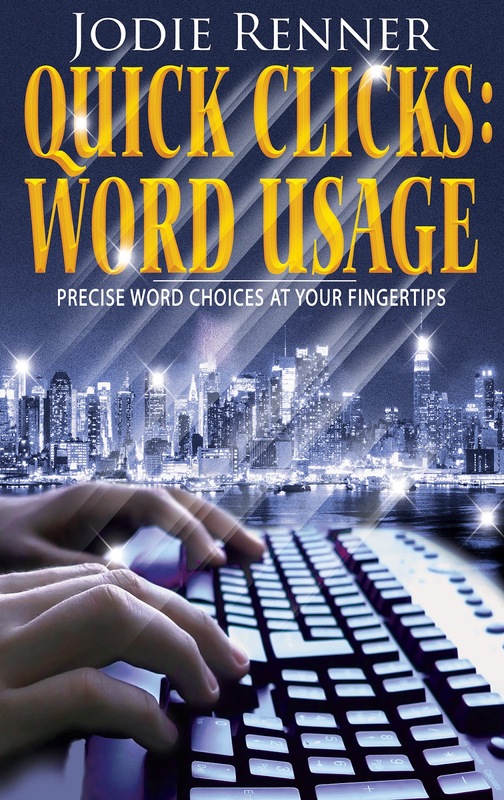 She has also published two clickable time-saving e-resources to date: Quick Clicks: Spelling List and Quick Clicks: Word Usage. Jodie recently organized and edited two anthologies for charity: a BC-wide anthology of stories and poetry for Doctors Without Borders, called Voices from the Valleys, and Childhood Regained – Stories of Hope for Asian Child Workers, created to help reduce child labor in Asia. You can find Jodie at www.JodieRenner.com, www.JodieRennerEditing.com, and on Facebook, Twitter, and Google+. Click HERE to sign up for Jodie’s occasional newsletter. 5 Essential Writing Guides for Writers & Editors, $0.99 each! If you're a fiction writer at any stage or a fiction editor, don't miss this excellent deal. For the first time ever, I've put all my writing guides and resources on sale for $0.99 USD ($1.37 CAD) each for the ebooks, for 6 days. And you don't need an ereader to read ebooks - you can also read them on your PC, laptop, iPad or other tablet, or your smartphone. Here are the e-books you can get all this week (Jan. 4-9, 2016) for $0.99 on Amazon.com, $1.37 on Amazon.ca, and the equivalent on all other Amazon sites. Click on the links to go to the ebook on three main Amazon sites. This award-winning editor's guide to writing compelling fiction provides specific advice, with examples, for captivating readers and immersing them in your story world. It’s all about engaging the reader and providing a direct connection with the characters through deep point of view, showing instead of telling, avoiding author intrusions, and letting the characters tell the story. And like Jodie Renner's other writing guides, which are designed for busy writers, the format of this one is reader-friendly, with text broken up by subheadings, examples, and lists. "A handy compendium of techniques that will also serve as a checklist for authors who aspire to write page-turning fiction." 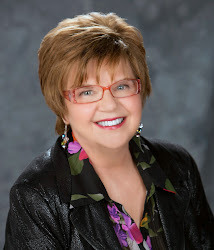 "Jodie Renner's books are packed with practical writing and editing advice. 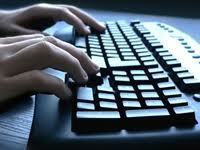 Get ready to improve your manuscript today." "Want to write solid, marketable fiction? Read this book. Regardless of your experience level, Captivate Your Readers gives you clear and concise tools that will help you create a believable story world and spin a good yarn." "Jodie Renner nails it! Captivate Your Readers should be at the top of every new and experienced writer's arsenal, as well as a preferred resource for every teacher of writing. Her no-nonsense, easy-to-understand approach is perfect. Bravo, Jodie Renner!" - 308 pages, 51 contributors, short fiction, creative nonfiction, and poetry. All net proceeds go to Doctors Without Borders. The print version includes drawings and photos of BC. 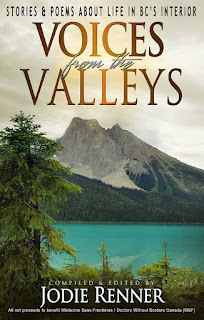 This anthology for charity features entertaining short stories, fascinating memoirs, and thought-provoking poetry by 50 talented BC writers, depicting life in every region of the interior of British Columbia, Canada, from the ’50s to today. Peruse the pages and you’ll find stories about challenging experiences in remote areas, experiences with BC’s deer, bears, moose, and other wildlife; harrowing experiences with forest fires, humorous people-watching stories, touching memoirs, tales of tragic incidents, stories about relationships, and funny-only-in-hindsight true stories. You’ll find beautiful, thought-provoking poetry about early ranching life, rock climbing, a beloved motorcycle, the loss of orchards, prospecting, experiences with forest fires, encounters with wildlife, and other special moments from various regions in BC. 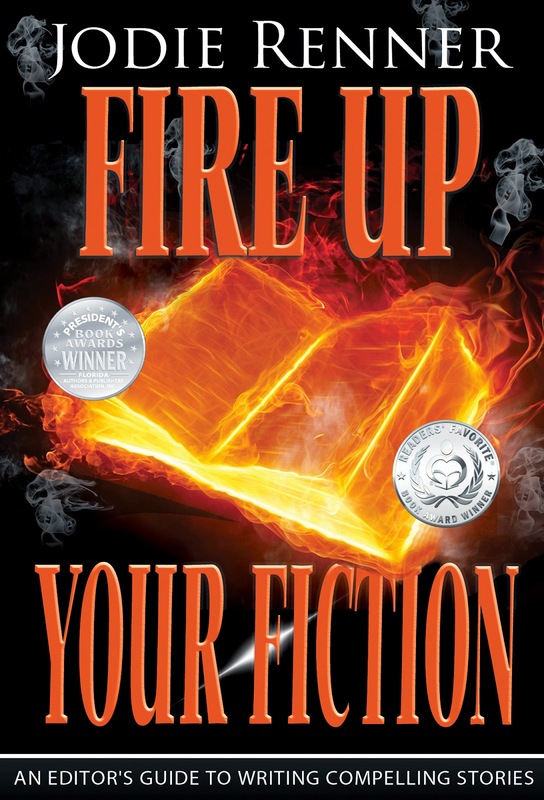 Fire up Your Fiction has won three awards to date: a Silver Medal in the FAPA President’s Book Awards, a Silver Medal in the Readers' Favorite Book Awards, and an Honorable Mention in the Writer’s Digest Self-Published E-Book Awards for 2013, under its former title, Style That Sizzles & Pacing for Power. 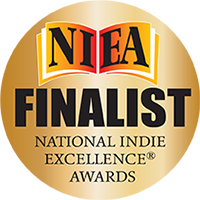 It was also a Finalist in Foreword Reviews IndieFab Book Awards and the National Indie Excellence Awards. “Jodie Renner’s Fire up Your Fiction is a handy manual for writers looking to make the biggest impact with their craft. Fiction writers – if you’re looking to hone your style, bring your scenes to life, tighten up your writing, add tension, find just the right words, pick up the pace, and develop a more authentic, appealing voice, this multi-award-winning guide to the indispensable style elements of writing a popular novel is for you. This reader-friendly book is chock-full of excellent tips to help you learn to write like the pros and create a compelling novel that sells. Not only that, but if you apply these tips to your manuscript, you'll save a lot of money on editing costs. Find just the right word in a second or two with a click of your mouse. Is it "Please join Paul and I" or "Please join Paul and me"? Do I lie down or lay down for a nap? How does violence on TV effect (or is it affect) young viewers? Do you insure or ensure that your seatbelt is fastened? Should you hone in or home in on your objective? And did the bride walk down the aisle or the isle? Did the dog bury its or it’s bone? Is alright a word? How about alot? And did she pour over or pore over the details? And how do you know when to put in a hyphen and when to leave it out? Is it re-read or reread? over-rule or overrule? extramarital or extra-marital? under-employed or underemployed? semicircle or semi-circle? sub-category or subcategory? This quick and easy, reliable e-reference to current word usage and style answers all those questions and many more. Just keep this handy, clickable guide up on your computer screen or beside you on your e-reader, tablet, or smartphone when you’re writing or editing and find the word or term you're looking for with a click of your mouse. 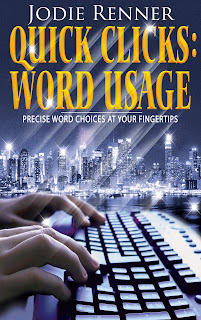 Quick Clicks: Word Usage is a user-friendly, time-saving guide to the most appropriate words and usage for every level of (mainly North American) English communication, from more formal written projects to casual everyday conversations using colloquial expressions. Who’s it for? Writers, journalists, students, teachers, bloggers, copy editors, proofreaders, small business owners, academics, and anyone with a writing project on the go will love this time-saving e-reference. All the internal links throughout the document make it super-easy for busy writers and editors to navigate, so you can get in quickly, verify the word or term, and get back to work in seconds. 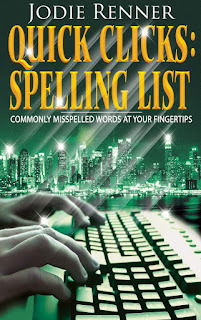 This time-saving writers’ resource is a clickable list of words and phrases that, for one reason or another, often trip up even good spellers and slow down their work. By using this handy alphabetical spelling glossary with lots of links, and also Renner’s companion guide, Quick Clicks: Word Usage – Precise Word Choices at Your Fingertips, you can find answers in seconds and get back to what really matters – your message and content. Whether you’re a journalist, fiction or nonfiction writer, student, teacher, blogger, editor, or anyone else on a busy schedule (aren’t we all these days? 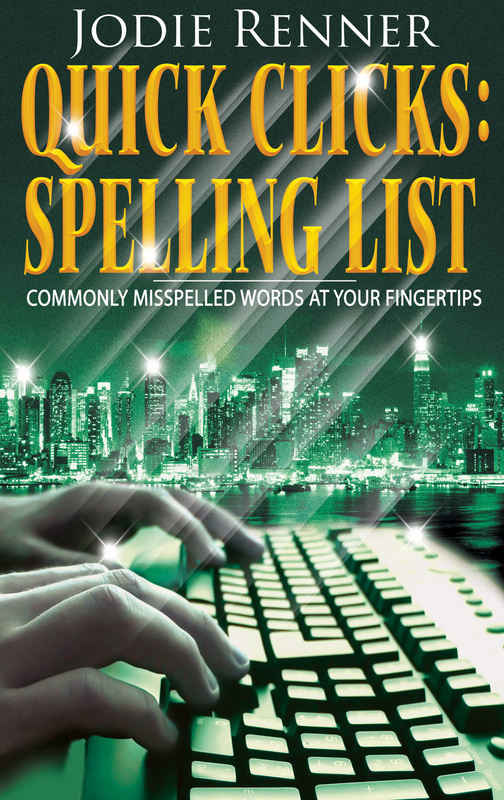 ), this clickable spelling list will save you tons of time. Not 100 percent sure of the spelling of a word, or whether it’s hyphenated or capitalized? Keep this resource on your screen or beside you on your Kindle or tablet or smartphone, then just click on the first two letters, check the word quickly, and you’re back to your writing project within seconds. ideas here for taking your fiction up a level or two, captivating readers, and gaining fans. 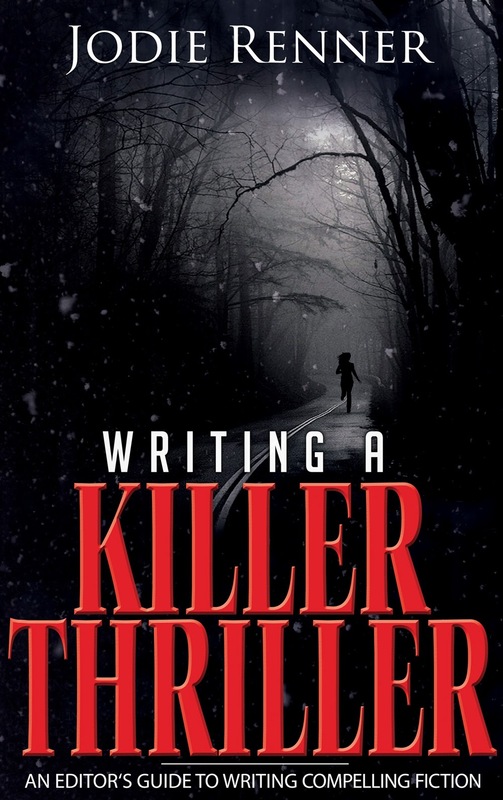 Both published and aspiring authors of fast-paced, popular fiction will find these tips indispensable for plotting a riveting story and creating compelling characters, then writing a gripping opening and designing suspenseful scenes. And the reader-friendly format makes it easy to zoom in on specific advice, with examples, for picking up the pace, ramping up the tension and intrigue, revising for power, and creating a page-turner that sells. 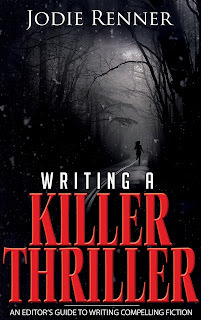 Jodie Renner is a freelance fiction editor and the award-winning author of three craft-of-writing guides in her series An Editor’s Guide to Writing Compelling Fiction: Captivate Your Readers, Fire up Your Fiction, and Writing a Killer Thriller. She has also published two clickable time-saving e-resources to date: Quick Clicks: Spelling List and Quick Clicks: Word Usage. Jodie recently organized and edited a BC-wide anthology of stories and poetry for Doctors Without Borders, called Voices from the Valleys, and is working on a second anthology, Childhood Regained, to help reduce child labor in Asia. You can find Jodie at www.JodieRenner.com, www.JodieRennerEditing.com, and on Facebook, Twitter, and Google+. Click HERE to sign up for Jodie’s occasional newsletter. HAPPY NEW YEAR, writers! May all your hopes and aspirations reach fruition in 2016! As I have in the past, I hope to continue in the upcoming year to help writers sharpen their skills and reach their publication goals through my editor's guides to writing compelling fiction, as well as my clickable e-resource guides, blog posts, and workshops -- and of course my editing of novels and short stories. If you're looking to hone your craft at writing and also network with other writers, editors, agents, and publishers, my New Year's gift to you is a very comprehensive list of Writers' Conferences and Book Festivals in North America in 2016, just below this blog post. Or click here to view the list, organized by month, with links to their websites. And here's a list, with active links, of my most popular tips for writing compelling fiction: Links to Jodie Renner's Top Craft of Writing Posts. 2015 was a very productive year for me -- in fact, a little too busy, for someone who is supposed to be retired and slowing down! On February 28, I published my third writing guide, CAPTIVATE YOUR READERS - An Editor's Guide to Writing Compelling Fiction. This book is all about engaging readers emotionally and keeping them eagerly turning the pages of your fiction using techniques such as deep point of view, avoiding author intrusions, and showing instead of telling. It has already won two book awards plus an Honorable Mention. You can check it out on Amazon HERE. And here's my Amazon Author Page, in case you're interested in my two other writing guides; two handy, clickable resources for writers, editors, and students; and the regional anthology I organized and edited and published on Nov. 24, 2015. In April 2015 (for the second time in a year! ), I moved to a new town closer to my family, which I love. Think I'll put down roots here in beautiful Penticton, BC, situated between two lakes, with mountains on the other two sides - and mild winters, for Canada! I'm a member of the local writers' group, Penticton Writers and Publishers, and am on the organizing committee for a writers' conference here in April, the Okanagan Valley Writers' Festival, April 8-10, 2016. I've continued to edit novels for my clients around the world (but mainly in the U.S.), which I find very rewarding, both because of the opportunity to work with talented authors to polish their exciting stories, and for the warm, long-lasting relationships that are created as a result of long-term collaborations. I also presented writing workshops at several conferences in 2015, including, in January, at bestselling author Steven James' Troubleshooting Your Novel workshops in Nashville, at Word on the Lake Writers' Festival in Salmon Arm, BC, in May, and at When Words Collide in Calgary, Alberta, in August. And I've been busy judging short stories for various contests and anthologies, including again this year for Writer's Digest's Popular Fiction Awards. After being an active blogger, publishing my tips on writing compelling fiction first on Crime Fiction Collective for three years, then for two and a half years every second Monday on the award-winning The Kill Zone blog (both blogs mainly aimed at writers and readers of mysteries and thrillers), I decided to step down from regular blogging to focus my energies more locally, with occasional posts here on my own blog. In 2015, I again served as a fiction judge for short stories for Writer's Digest's Popular Fiction Awards. My category was thrillers, and I received about 245 short stories, which I had to narrow down to my top 10 choices, in order. That was a huge job, but I'm confident that the final 10 I chose were the most exciting and well-written stories in that category. This year I've also been busy organizing and editing two anthologies for charity, with more to come in the future. Because I was so delighted to be back in beautiful British Columbia, on Canada's West Coast after an extended absence, I decided to organize a high-quality anthology of stories and poems that typify and celebrate life in BC. This ended up to be a huge undertaking, reaching out to writers around the province and reading, then choosing, and editing their submissions. Many of the stories went back and forth several times during the editing process. Then I had to decide how the contributions would be organized and format the book. It was a wonderful opportunity to meet talented writers in BC and collaborate with them to produce a polished product that would also benefit a very worthy charity, Doctors Without Borders. 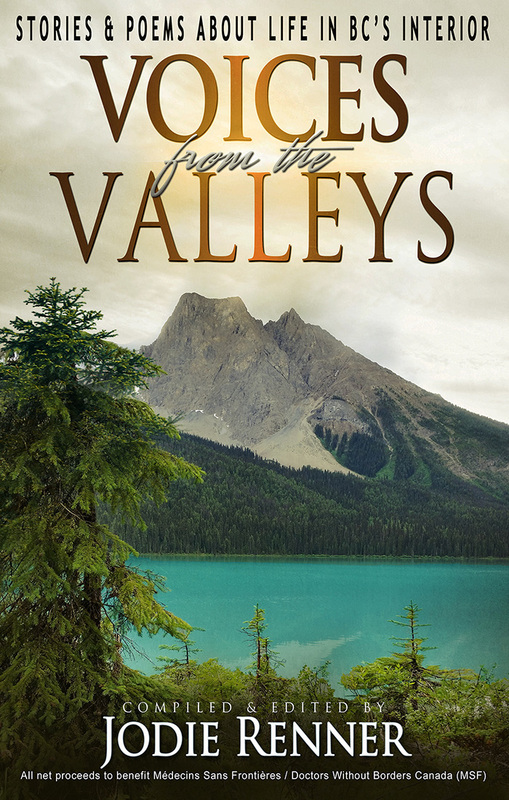 On November 24, we proudly released VOICES FROM THE VALLEYS - Stories & Poems about Life in BC's Interior. Within 3 weeks, we were sold out of the first printing of 400 copies! We're on the second printing now, and I've already sent our first monetary donation to Doctors Without Borders. At 107,000 words long and 308 pages, this high-quality anthology includes fiction, true stories, and poetry by 51 contributors, organized by region of the interior of BC, as well as drawings and both colour and black-and-white photos of BC. The e-book version is without the images but contains a few extra stories and poems that I couldn't fit into the print version. For more on this fabulous celebration of life in British Columbia, Canada, plus a link to a PDF of excerpts from the book, click HERE. 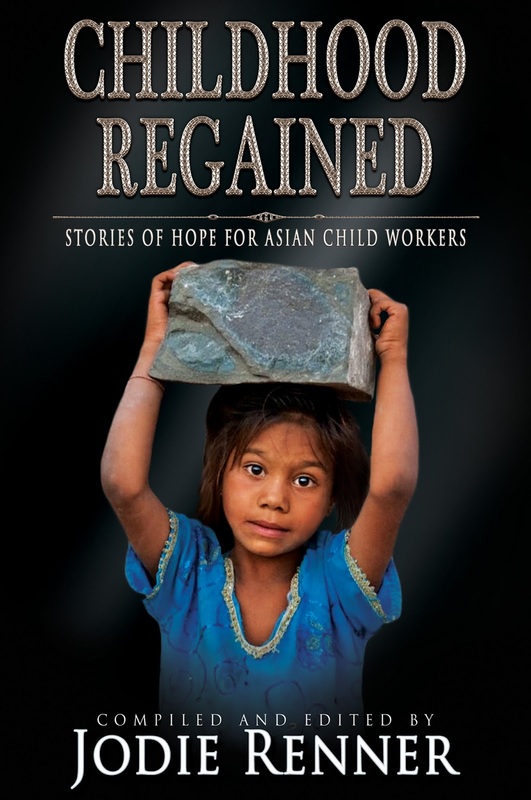 I'm also in the process of organizing and editing CHILDHOOD REGAINED - Stories of Hope for Asian Child Workers. This collection of short stories, aimed at readers age 12 and up, is about children working in difficult conditions in South Asia - India, Nepal, Pakistan, and Bangladesh. It's meant to raise awareness of the conditions these children are living under and to raise money to help eradicate child labor in Asia. It will be released in spring 2016, and we're still trying to find the best charity for it. The proceeds will definitely go to a charity aimed at helping third-world children. likely Save the Children. For 2016, I'm thrilled to have been invited to present again at Word on the Lake Writers Festival in May in Salmon Arm, BC, where I will join esteemed Canadian writers such as Arthur Slade, Alan Twigg of BC BookWorld, Robert J Sawyer, and Richard Wagamese. I'll also be presenting two workshops at the Okanagan Valley Writers Festival, April 8-10, and will be judging short stories for the Federation of BC Writers' contest, Literary Writes 2016. I also plan to continue editing novels and producing anthologies in 2016 and beyond. What about you? How was your 2015? Please share any writing-related news in the comments below. How about 2016? What are your writing, editing, and publishing goals for the year to come? Let us know in the comments below.